Need well-draining soil? Perma Till™ is the perfect solution. It is made from a unique slate that is heated to 2,000°F which causes it to expand. The 5/16″ expanded slate particles are porous, low in absorbency and high in nutrient holding capacity. 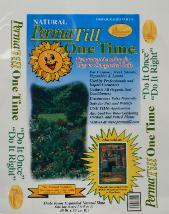 Perma Till™ does not decompose so it provides a permanent drainage solution or barrier for voles. Roots thrive in 100% Perma Till™ and it is strong enough to be used in structural soils.